Picturesquely surrounded by the Spree and the Kupfergraben: the Bode Museum on the northern tip of the world-famous Museum Island. An exclusive residence in historical Berlin not only means having an unrivalled address in the capital, but also a prime spot at the heart of the city's social and cultural life. Living here means to be part of an exciting and incomparable interaction between the past and the future, between tradition and change. Science, history, art and culture have been elements of this location along the Unter den Linden boulevard since time immemorial making it a place unmatched anywhere throughout Germany. 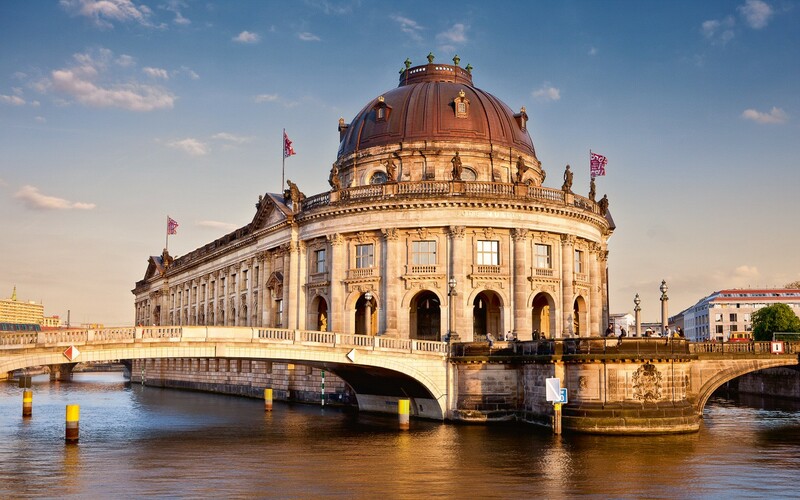 From the Bode Museum and the Pergamon to the Alte Nationalgalerie (Old National Gallery) – the stately Museum Island hosts some of the most significant cultural treasures from all of human history. Pause for reflection in the romantic Lustgarten (Pleasure Garden) or stroll through Berlin's most attractive square, the Gendarmenmarkt, world-famous for its architectural splendour. Just footsteps away you can satisfy your thirst for something new, as numerous galleries showcase the work of Berlin's young artists.